As noted before, Big Show made a surprise appearance during the SmackDown Tag Team Championship match between The Bar and The New Day at last week’s SmackDown 1000 episode. Big Show interfered on behalf of The Bar to help them defeat The New Day and become the new SmackDown Tag Team champions. 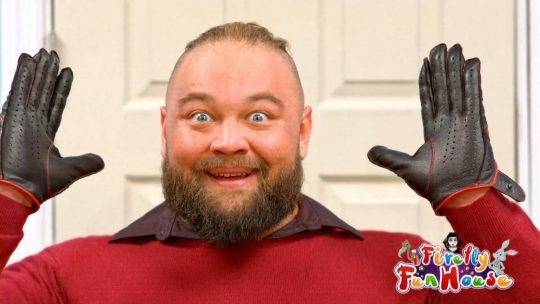 PWInsider’s Mike Johnson reported that Big Show’s involvement with The Bar is currently planned to be a long term alliance and that WWE is currently considering the name “Showbar” for the new stable. The name was used backstage at SmackDown 1000 but it is not confirmed at the moment if that will be the official televised name of the new group going forward. 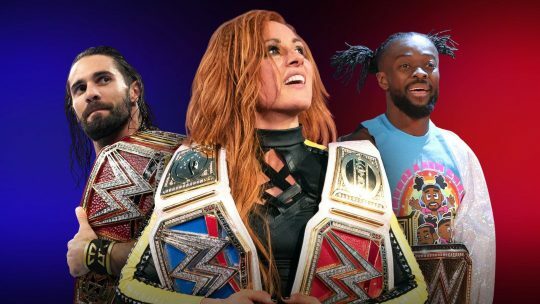 WWE.com is currently holding a poll asking fans which match they are the most excited for at WWE Evolution. The choices available are the Raw Women’s Championship match, SmackDown Women’s Championship match, Trish Stratus & Lita vs. Alexa Bliss & Mickie James tag team match, NXT Women’s Championship match, and the Women’s Battle Royal match. At the time of this report, SmackDown Women’s Championship match of Charlotte vs. Becky Lynch leads with 43% of the fan vote, followed by Trish Stratus & Lita vs. Alexa Bliss & Mickie James at 20% of the vote. Netflix is currently scheduled to remove all of Season 1 and Season 2 of Lucha Underground from their service in the United States after November 15th. * Super Jr. Tag League 2018 match – Chris Sabin & KUSHIDA (1-2) defeated Soberano Jr. & Volador Jr. (1-2). * Super Jr. Tag League 2018 match – Roppongi 3K (SHO & YOH) (2-1) defeated Robbie Eagles & Taiji Ishimori (2-1). ROH announced three more competitors for their Survival of the Fittest 2018 tournament in Columbus, Ohio on November 4th. They were revealed to be Stuka Jr. and Guerrero Maya Jr. from CMLL and Dalton Castle. Revolution Pro Wrestling announced the card of their November 9th Uprising event in London, England features a British Heavyweight Championship match of David Starr versus Tomohiro Ishii (c).